OrthoConnecticut | Robert L. Brady, M.D. With the addition of Dr. Brady to OrthoConnecticut in 2005, the group was able to broaden its spinal services to include the most comprehensive and technologically-advanced care of the spine. 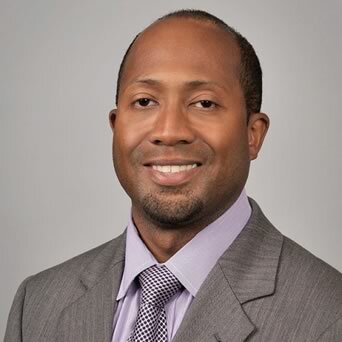 Currently, Dr. Brady has privileges in the Department of Orthopaedic Surgery at Yale New Haven Hospital and has faculty appointment in Yale University Medical School, as a Clinical Associate Professor in the Department of Neurosurgery. Dr. Brady began his career as an orthopedic surgeon training at St. Luke’s – Roosevelt Hospital Center, a University Hospital of Columbia University College of Physicians and Surgeons. Following his residency, Dr. Brady completed his fellowship training in spine surgery at the highly regarded Spine Institute of New York at the Beth Israel Medical Center in New York, NY. He has an expertise in treating all pediatric, adolescent and adult conditions of the spine. This includes diseases related to degeneration, deformity (eg. scoliosis), trauma and tumor. Through his fellowship, which was selected as one of only 15 sites where the United States FDA trial for lumbar artificial disc replacement was performed, he has become one of the most extensively trained spine surgeons in the country in disc arthroplasty. Dr. Brady was also the lead investigator of an FDA clinical trial at Norwalk Hospital comparing interspinous process implants. Furthermore, Dr. Brady is on the forefront of the rapidly advancing field of spine surgery with minimally invasive techniques and utilization of biologic healing proteins. In addition to Dr. Brady’s excellent clinical training, he has presented research at national meetings and published in peer-reviewed journals. And finally, beyond Dr. Brady’s private practice he has founded a non-profit organization called the Straight Caribbean Spine Foundation. This charitable mission provides comprehensive care to children with advanced spinal deformities in third world countries.